Welcome to Big Sky Fly Fishers! My name is Jeremy Gilbertson. I'm currently in my nineteenth season in the fishing business, and am a licensed outfitter in the state of Montana. My guides and I share the ultimate goals of providing expert knowledge of our local rivers, and targeting big trout on one of Montana's legendary waters. A good fly fishing guide will make or break your fishing experience. Don't book a trip for a bargain price, only to be disappointed later with an inexperienced guide or substandard accommodations. Just as importantly, don't overpay for a scenic view without quality fishing. I work with many different lodging options, and will tailor a trip that gives you exactly what you want at the price point where you are comfortable. You'll know what you're getting for your money. By the way, click on the Videos to get a first hand look at a trip on the Bighorn River. I'm based out of Billings, MT, and spend most of my time on the Bighorn and Yellowstone Rivers. However, there might be times when a multiple river trip is allowed by our schedules, and the opportunity arises for targeting a specific hatch on a different river. I can do that. I also employ a network of highly skilled guides if your passion is to fish one of Montana's superb western rivers like the Madison or Missouri Rivers. I've been able to handle groups of up to 40 fishermen in the past, and am more than willing to put together whatever size fly fishing guide crew you may desire for your family or business outing. The bottom line is that one phone call can almost assuredly take care of any Montana fly fishing trip you may want to book. Big Sky Fly Fishers is a Montana fly fishing guide service that works to provide many lodging options from self-service cooking, to fully catered accommodations. 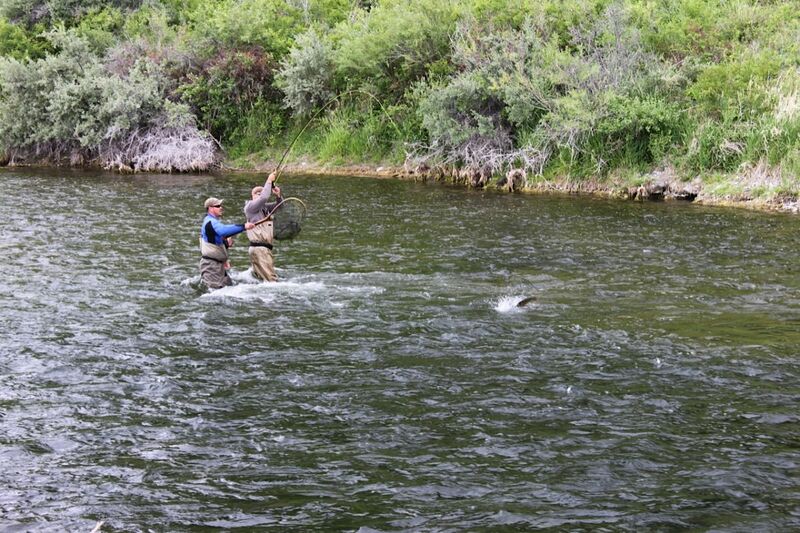 We will work hard to create the Montana fly fishing trip of a lifetime. My sincere hope, is that you will come and see for yourself the wonder that is the Montana outdoors. I must warn you, though, you may never want to go home!